Integrating your Fonality phone system with Salesforce CRM makes both applications more powerful by bringing together the activities and data that drive your business. Fonality's advanced phone system, built-in collaboration capabilities, unique contact centre features and Salesforce integration work together to help increase the velocity of your business. Speak to one of our experts to learn more about how this integration supports your business. 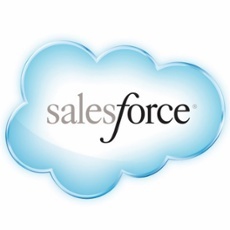 How do users benefit from CRM Link for Salesforce? Improved sales efficiency: With click-to-dial, employees are able to save 15-30 seconds per dial and eliminate the chance of inputting the wrong number. That means more calls per day and more opportunities to sell. Personal service: Inbound screen pops let agents know who's calling before they pick up the phone, making it easy to provide immediate, personal service. Accurate record keeping: When CRM Link is used to take or make a call, entering call notes into Salesforce is automatic. Your team can focus on customer interaction, yet records will always be complete and up to date. Salesforce adoption: Integration increases Salesforce adoption because it becomes part of the process of making the call, not something that needs to be updated later.